Canyons of the Ancients National Monument is located 9 miles west of Pleasant View, Colorado in southwestern Colorado. [a] The monument's northern and eastern boundaries are canyons. 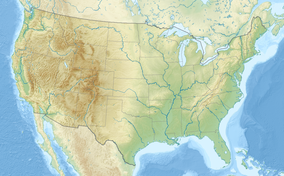 Its western boundary is the Colorado-Utah state border. Lands south are bordered by the Ute Mountain Reservation and McElmo Creek. Ancient Pueblo people lived in the Canyons of the Ancients in the 10th century; Lowry Pueblo, built during the Great Pueblo period, was built atop pit-house built in the 10th century. Lowry Pueblo The Lowry Pueblo National Historic Landmark consists of 8 kivas, a great (community) kiva and 40 rooms built as high as three stories. The underground great kiva was built about 1103 AD and had murals painted over about 5 layers of plaster. About 1110 AD, another kiva was built on top of the original kiva. Based upon the size of the kiva it's thought that the Lowry Pueblo may have been a local center for religious gatherings and celebration. Sand Canyon Pueblo One of the largest pueblos of the 13th century, Sand Canyon Pueblo, built between 1250 and 1280, contains at least 20 multi-family room blocks with 420 rooms, 90 kivas, and 14 towers. A spring runs through the center of the walled site that held up to 725 people. Construction was exacting, with care taken to shape stone, and some double and triple walls for stability. Families lived in clusters of rooms that included living, storage and work rooms and had their own family kivas. The community shared roofed plazas, great kivas and towers often connected to kivas. By 1280, new construction had stopped and people began migrating out of the pueblo; By 1290, the pueblo was abandoned after a massacre of 41 women, men and children at the pueblo, as were other Colorado pueblo sites, never to be inhabited again by Puebloan people. Unlike other Ancient Pueblo site abandonment, it appears that the people of the Canyons of the Ancients left the sites much earlier than their neighbors, some time in the mid-12th century. Some of the artifacts found from the site show a connection to the Chacoan culture, while others are similar to those of the Mesa Verde dwellers. After 1300, hunter-gathers, ancestors of the Ute and Navajo, moved into the southwestern Colorado and southeastern Utah and came to inhabit the region. The ancestors to the Navajo were one of the tribes of the southern division of the Athabaskan language family that migrated south from Alaska and northwestern Canada, most likely traveling through the Great Basin. The Navajo ancestors were in the area after AD 1300, but at least by the early 16th century. The people from who the Ute descended arrived in the area from the west in this period from 1300 to the 18th century. The Ute's ancestors are hunter-gatherers who, in the 12th century, began migrating east from the present southern California area into a large hunter-gathering territory as far east as the Great Plains and in the canyons and mountains of eastern Utah and Colorado. During this period, the Spanish colonial reach extended to northern New Mexico, where they settled in the 16th century. They introduced items for trade, such as guns and horses, new and deadly diseases, and cultural influence in the forms of religion, language, and forms of government. In the 18th century, Spanish missionaries visited the area looking for a route to Spanish missions in California. One of the expeditions was that of Spanish friars Silvestre Vélez de Escalante and Francisco Atanasio Domínguez who traveled from New Mexico, through western Colorado to Utah. The first Anglo American people arrived in the early 19th century, starting with trappers. With the discovery of precious ores in the last decades of the 19th Century, miners and other settlers moved into the region. By the mid-19th century, the United States government and Native American tribes were at war over land ownership. People were forced to leave their homelands. The Navajo had moved south and the Ute territory was significantly reduced. Lowry Pueblo was excavated in 1928 and went through a restoration process in 1965. Two years later, it was named a National Historic Landmark and was listed on the National Register of Historic places. 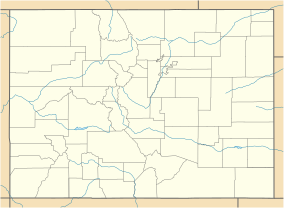 Cahone Canyon, located about 4 miles southwest of the town of Cahone, Colorado, is about 9,156 acres. The wilderness area, varying from 5,900 to 6,000 feet (1,800 to 1,800 m) in elevation, consists of three canyons with piñon-juniper woodlands and riparian and sagebrush ecosystems. Cross Canyon, located south of Cahone Canyon, about 14 miles southwest of the town of Cahone, Colorado, is about 12,721 acres, 1,008 acres cross into Utah. The wilderness area, varying from 5,140 to 6,500 feet (1,570 to 1,980 m) in elevation, consists of three canyons (Cross, Ruin, and Cow), with piñon-juniper woodlands and riparian and sagebrush ecosystems. The Anasazi Heritage Center is also the visitor center for the Canyons of the Ancients National Monument and includes artifacts from the monument, a museum with interactive exhibits, a library and a theatre. Information is available there regarding the Ancient Puebloan culture, Trail of the Ancients Byway and the Canyons of the Ancients National Monument. Jurassic (199.6–145.5 million years ago) Morrison Formation The Morrison Formation is made mostly of siltstone and sandstone formed from river and lake deposits. Some layers are made from volcanic ash. Parts of this ash altered to zeolites and chalcedony have been used to make flaked tools. (Gerhardt et al.). 600 feet (180 m) Elsewhere in the Morrison Formation, many fossils of large dinosaurs have been found, as have deposits of uranium and vanadium. In 1986, the area was designated as the Anasazi Area of Critical Environmental Concern by the Bureau of Land Management to ensure there are no new leases for oil and gas industry; Leases will only be given to promote the conservation of oil and gas resources. In 2006, the National Trust for Historic Preservation reported that the nation's push for energy resources on federal land is occurring at a cost of archaeological and cultural resources at Canyons of the Ancients National Monument and Utah's Nine Mile Canyon. The National Trust further asserted that the Bureau of Land Management has only documented 17 million acres of the 262 under its stewardship. The Monument is home to a wide variety of desert wildlife, some of which are the American kestrels, Gambel's quail, Golden eagles, Long-Nosed Leopard lizard, Mesa Verde nightsnake, mourning dove, Peregrine falcons, Red-tailed hawks the Twin-spotted Spiny Lizard. Mammals that pass through the riparian and piñon-juniper woodland are jackrabbits, Mule deer, ringtail, fox, muskrat, beaver and bobcat. ^ "National Conservation Lands Archived November 22, 2016, at the Wayback Machine Bureau of Land Management. Retrieved 5-2-2016. ^ Woodall, Kristina L. History and Intent of the Proclamation for Canyons of the Ancients National Monument. Archived November 23, 2014, at the Wayback Machine Bureau of Land Management. pp. 1, 34. Retrieved 9-24-2011. ^ Woodall, Kristina L. History and Intent of the Proclamation for Canyons of the Ancients National Monument. Archived November 23, 2014, at the Wayback Machine Bureau of Land Management. pp. 33-34. Retrieved 9-24-2011. ^ a b Woodall, Kristina L. History and Intent of the Proclamation for Canyons of the Ancients National Monument. Archived November 23, 2014, at the Wayback Machine Bureau of Land Management. p. 34. Retrieved 9-24-2011. ^ a b Canyons of the Ancients: Background. Archived October 7, 2015, at the Wayback Machine Bureau of Land Management. Retrieved 9-24-2011. ^ a b c d e f Canyons of the Ancients Visitor Information. Archived September 30, 2016, at the Wayback Machine Bureau of Land Management. Retrieved 9-24-2011. ^ Dominquez and Escalante Expedition, 1776. UintahBasintah.org, which cites Chavez Waner's The Dominguez and Escalante Journal published in the University of Utah Press in 1995. ^ "Mesa Verde County Archaeology Brochure" (PDF). Mesa Verde Country Visitor Information Bureau. p. 3. Archived from the original (PDF) on 2011-04-24. Retrieved 2011-06-18. Gerhardt, K. M., Lacey, P. F., McBride, R., and McBride, D. Raw lithic material sources near the Greenlee Site. [permanent dead link] Retrieved May, 2009.